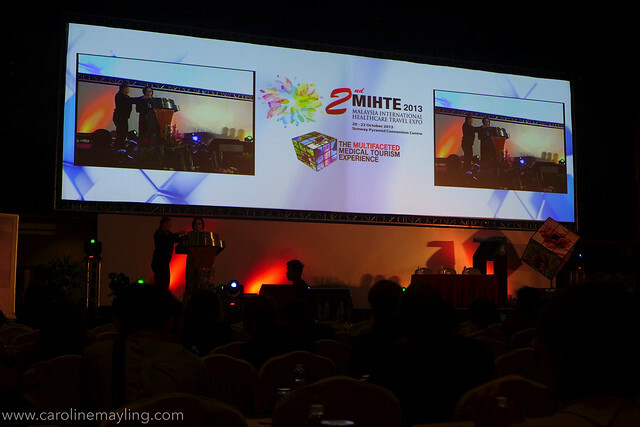 I have mentioned about the Press Conference for 2nd Malaysia International Healthcare Travel Expo (MIHTE) 2013 previously in my blog. Following the success of the 1st MIHTE 2012, the MIHTE Conference will once again provide participants with the opportunity to network and learn from the leading lights in the medical tourism and healthcare industry. For the first time, the MIHTE Conference will have multiple sessions in English, Arabic, Indonesian, Japanese and Mandarin to support and cater to the language needs of the different countries. These language-based breakout sessions will address topics of interest of respective target markets within the medical tourism industry. Yours truly attended the Opening Ceremony which was held on 21st October 2013 (Monday) at Sunway Pyramid Convention Centre. 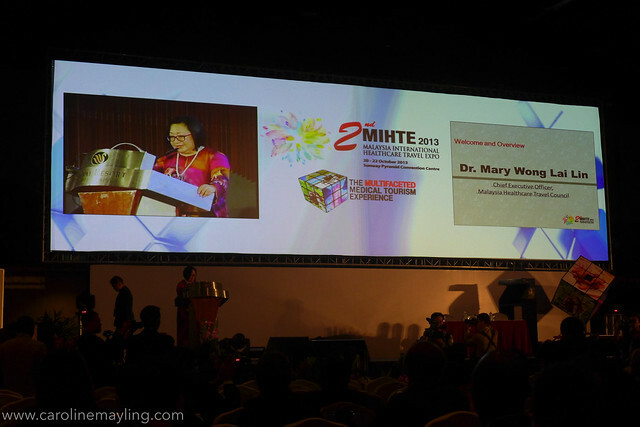 It was started with the welcome and overview speech by Dr. Mary Wong Lai Lin, CEO of Malaysia Healthcare Travel Council. She also shared the objectives of the entire events - to provide a platform for the creation of end-to-end healthcare travel packages, to create opportunities to connect with the right partner and strengthen existing ties and also to showcase an array of innovations from medical science and technology, to travel and aftercare. 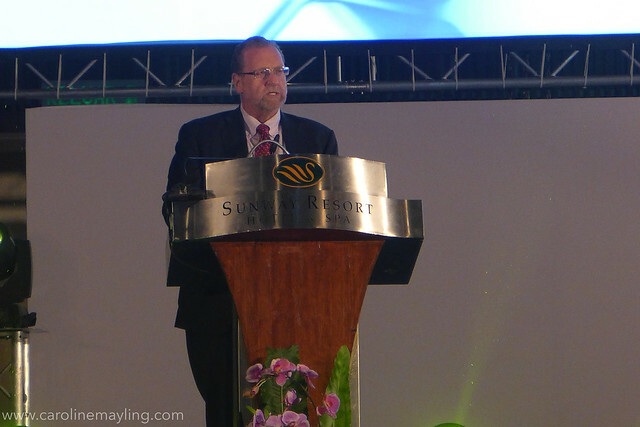 It was then followed by a keynote address by Mr. Peter Greenberg, the travel editor for CBS news. I thought that was a really interesting experience and opinions that he had shared with us on that morning. YAB Tan Sri Dato' Haji Muhyiddin Haji Mohd Yassin, Deputy Prime Minister of Malaysia has officially launched the event by twisting the huge Rubik's cube. Being an industry that has many possibilities for partnership and collaboration, medical tourism can be likened to the popular 3D puzzle, Rubik's cube. Twist the cube one way and you have a range of collaborators - a team - who can work together towards the greater good. Twist it again and you have another set of partnerships. It always produces colorful results but is basically all part and parcel of the same cube or industry. The configurations are many. This multifacetedness also highlights the many specialties within the industry.